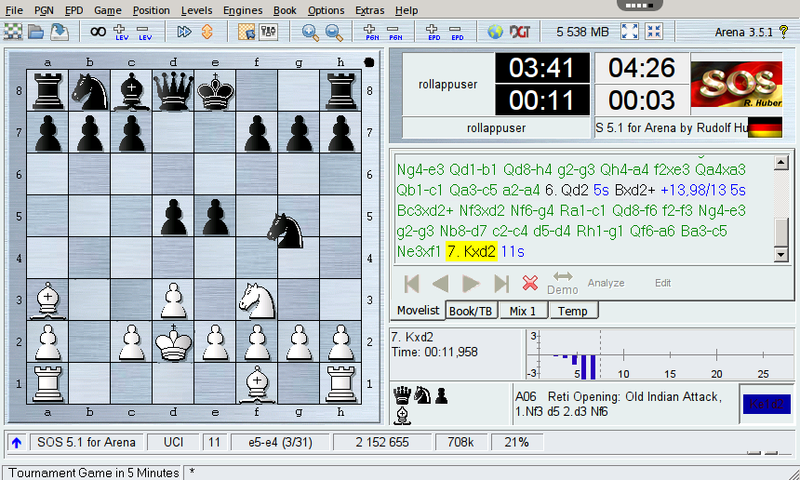 Arena is a chess tool that assists you in analyzing and playing games as well as in testing chess engines. 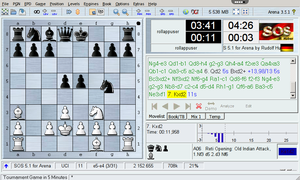 Arena has an easy-to-use and configurable interface. Adjust Arena according to your personal preferences! Approx. 250 chess engines run under Arena. Strengths vary from very strong to easy to beat, some have adjustable strength. 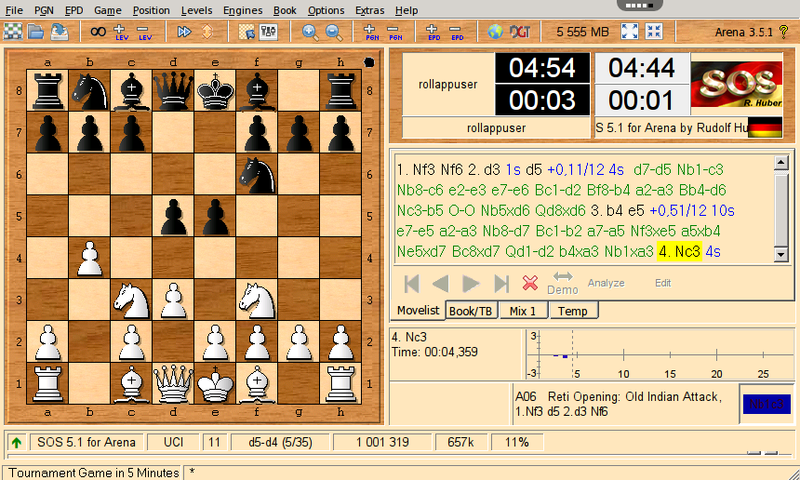 Detailed information - the analysis lines tell everything about the thinking process of the chess engines. 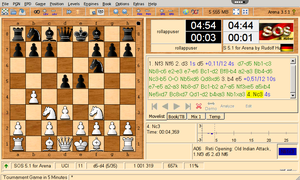 Unique tournament features - Find out, how the chess engines compete against each other. You can play online games against people worldwide. 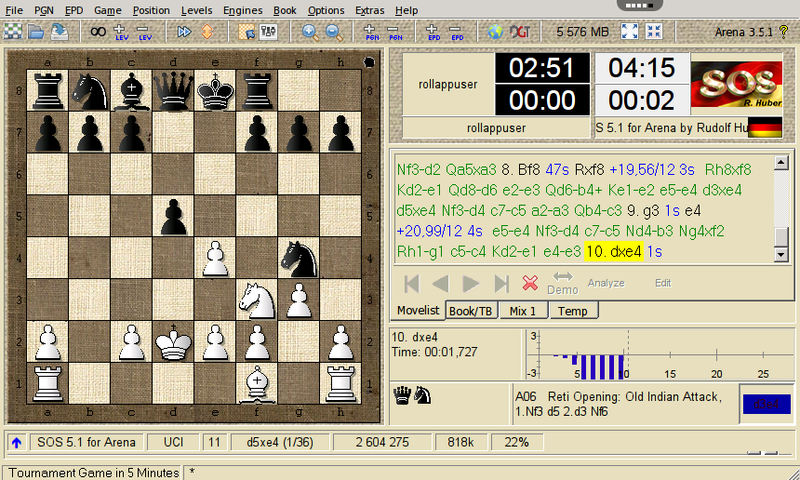 You can analyse games automatically. Printing - clearly laid out output on paper. EPD-Support - Easy analysis of position databases. 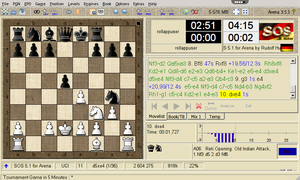 PGN-Support - Game - databases clearly arranged.